I picked up a couple of DEC VT420 terminals from a school auction about 20 years ago. Unfortunately, I never did anything with them because I didn't have any way to hook them up. The VT420 terminal uses an MMJ connector, which kind of looks like an RJ11 (phone connector) except that the clip is off center. This week I ordered a cable from Pacific Custom Cable and bought a couple of MMJ to DB25 adapters off of eBay. 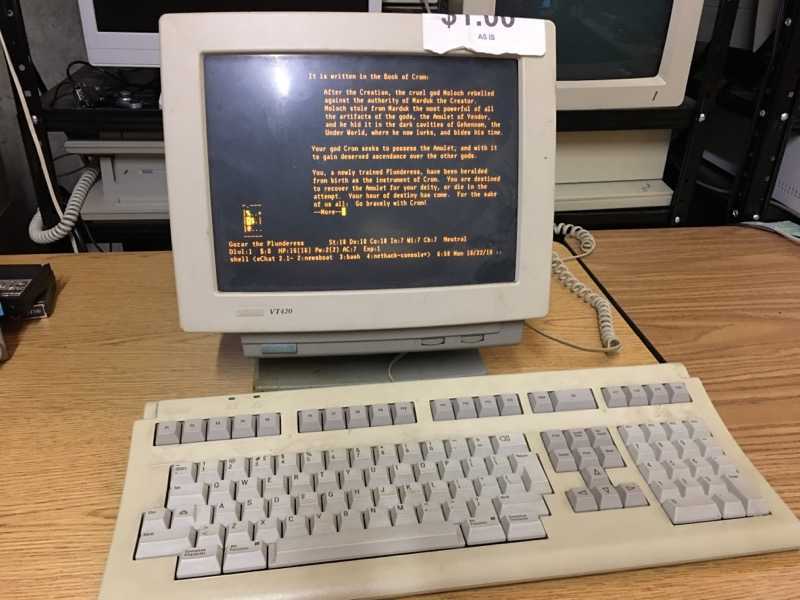 Now I have the terminal plugged into my Portmaster terminal server and I can computer like it's 1989.